Steven (Chicagoland, United States) on 12 August 2014 in Plant & Nature and Portfolio. Ornithogalum is a genus of perennial plants mostly native to southern Europe and southern Africa belonging to the family Asparagaceae. There are some species native to other areas such as the Caucasus. Growing from a bulb, species have linear basal leaves and a slender stalk, up to 30 cm or more tall, bearing clusters of typically white star-shaped flowers, often striped with green. 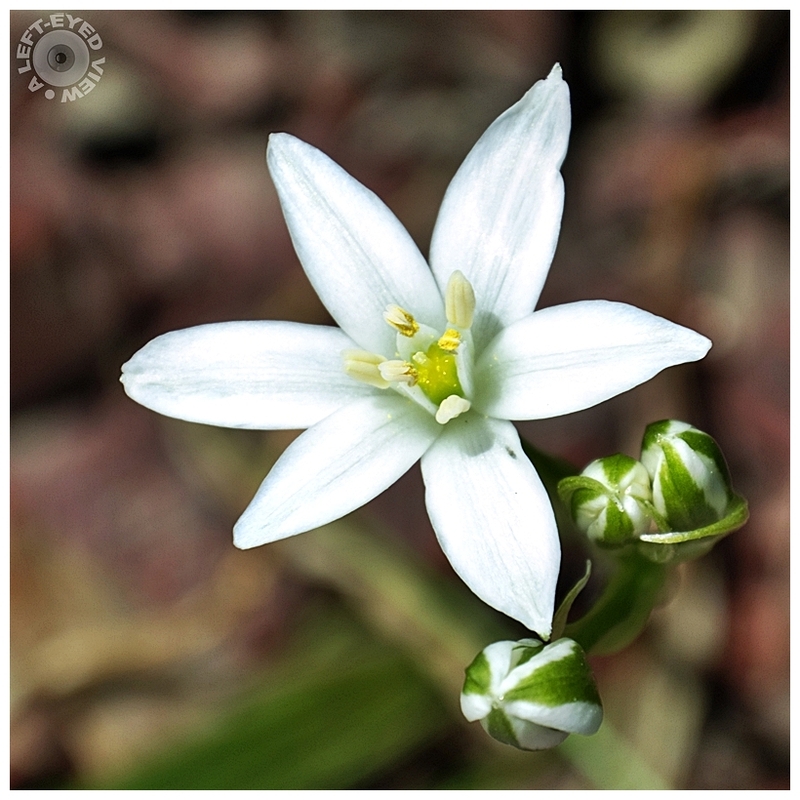 The common name of the genus, Star of Bethlehem, is based on its star-shaped flowers, after the Star of Bethlehem that appeared in the Biblical account of the birth of Jesus. Photo captured May 30, 2014. WOW! This is composed beautifully. I love seeing the buds as well as the flower. Beautiful presentation of it. Great background and a excellent flower. Beautiful flower and buds ... lovely capture! Beautiful shot. They are such lovely flowers. Superbe fleur blanche comme une belle étoile merveilleux. A stunning image of this lovely flower. Superb detail.